Art day is always fun with my children. We pile the kitchen table high with markers, papers, crayons, pencils, paints, etc…and go to town creating. My kids hunker around me and we bond. 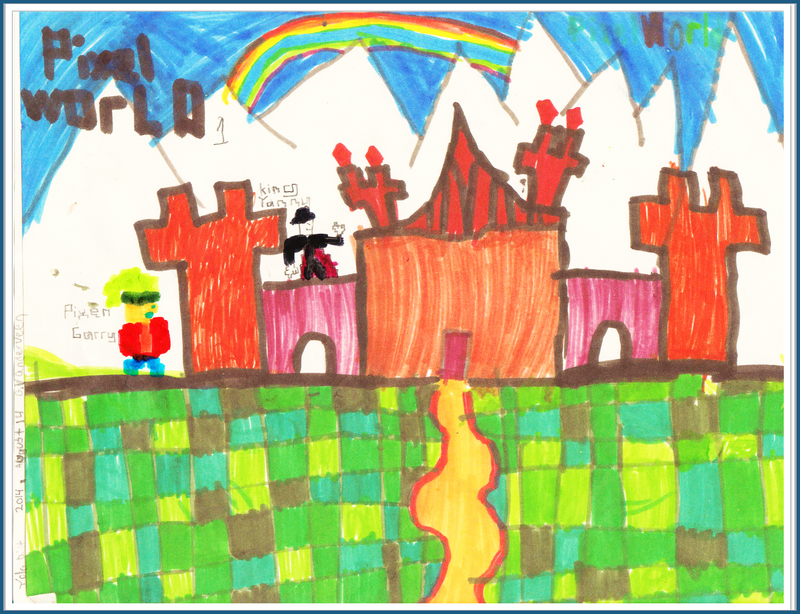 🙂 My middle-born son drew Pixel World. My daughter illustrated a heart with her best friend Bella on it, and her cousin. In a sad twist of fate, we lost it. However, she’s not let that get her down, promising to draw another one tomorrow. My oldest son (not a huge art fanatic) encouraged us all, and spent thirty minutes searching for my daughter’s work. What a sweetie! 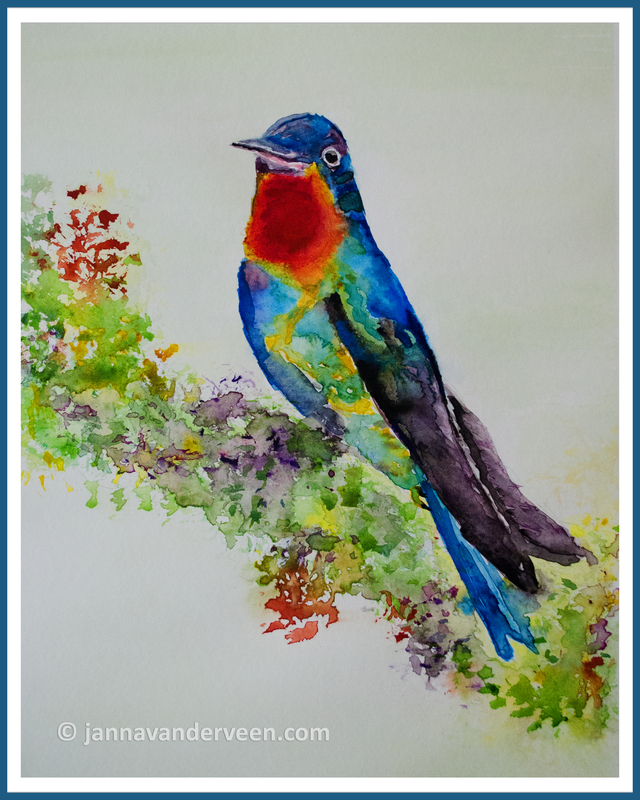 Today I concentrated on trying to recreate Costa Rica’s fiery-throated hummingbird (Panterpe Insignis) with watercolors. I was drawn by its vibrant color. It’s not perfect, but considering its one of my first bird paintings, I’d say it worked. What ways have you been creative lately?